Veterans Memorial Bridge connects two art communities together. A progression of art crosses the bridge to make relationships between the communities. By separating the art into three sub categories, active art, performance art, and ambient art, I was able to represent the depth of art through Cleveland. Active Art is the art of movement through the city. 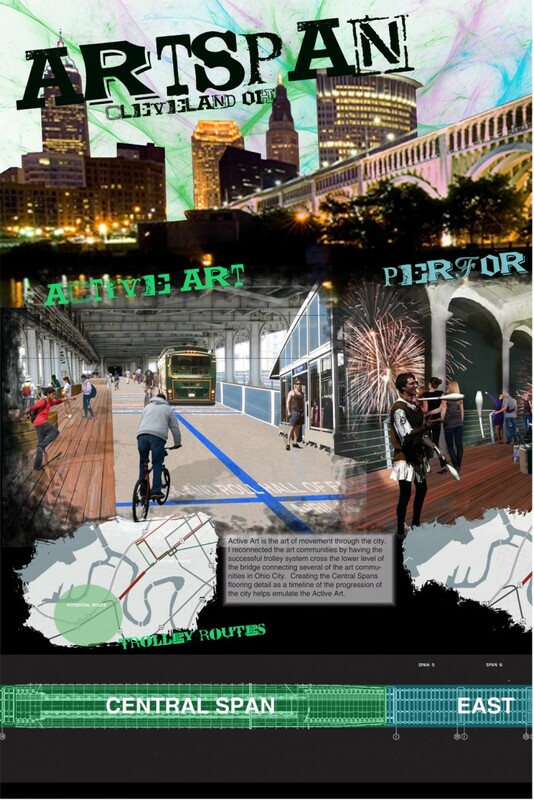 I reconnected the art communities by having the successful trolley system cross the lower level of the bridge connecting several of the art communities in Ohio City. 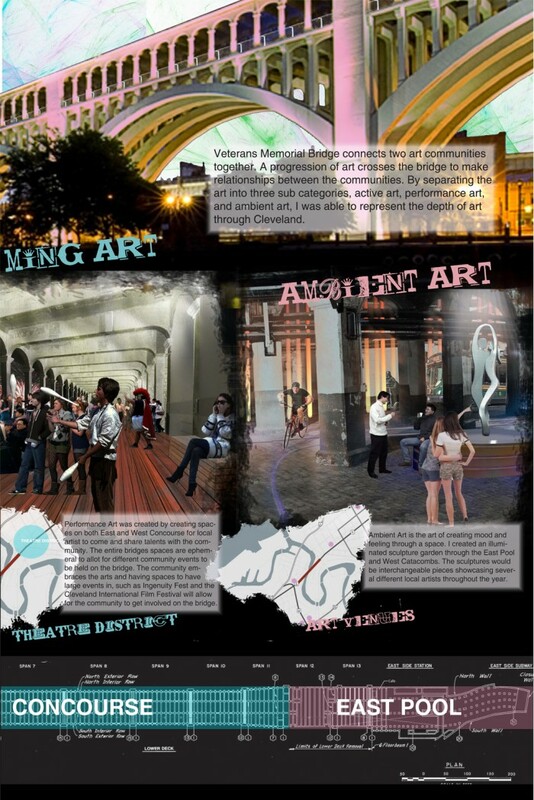 Creating the Central Spans flooring detail as a timeline of the progression of the city helps emulate the Active Art. Performance Art was created by creating spaces on both East and West Concourse for local artist to come and share talents with the community. The entire bridges spaces are ephemeral to allot for different community events to be held on the bridge. 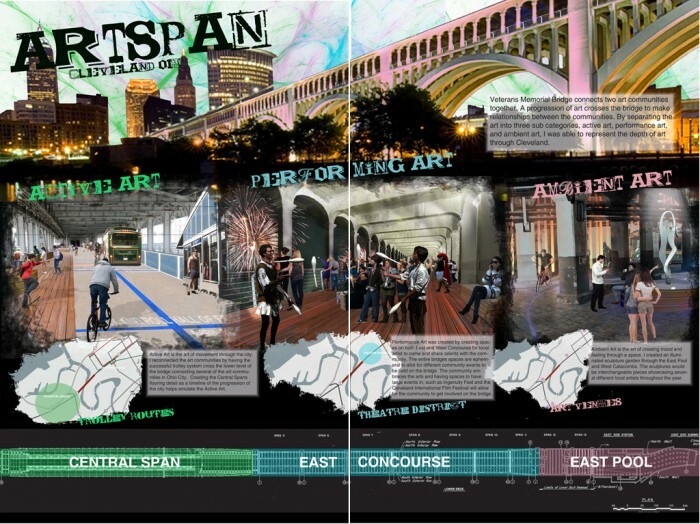 The community embraces the arts and having spaces to have large events in, such as Ingenuity Fest and the Cleveland International Film Festival will allow for the community to get involved on the bridge. Ambient Art is the art of creating mood and feeling through a space. I created an illuminated sculpture garden through the East Pool and West Catacombs. The sculptures would be interchangeable pieces showcasing several different local artists throughout the year.